SPECIAL FINANCING for up to 18 MONTHS* * On approved credit - SEE STORE FOR DETAILS. 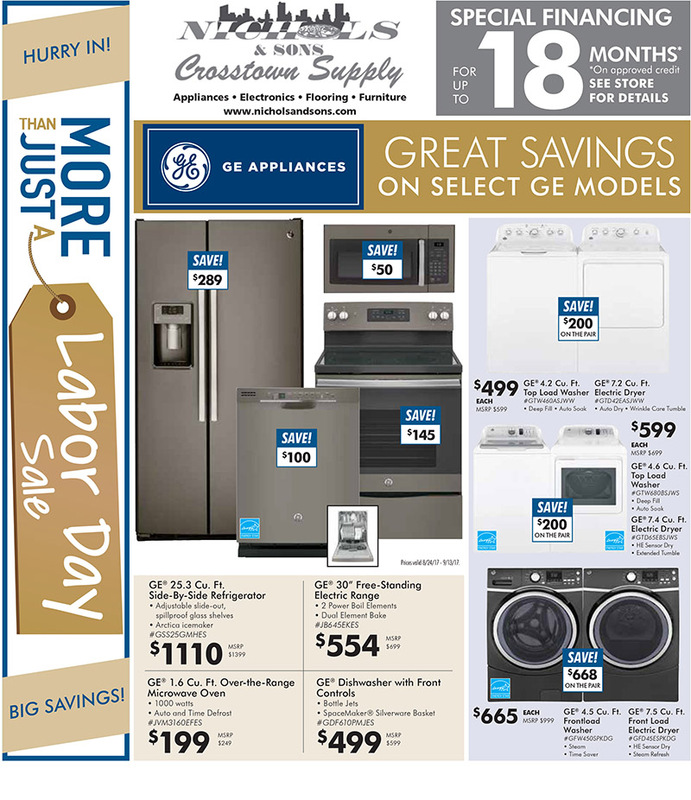 GREAT SAVINGS ON SELECT GE MODELS. Danby - OUR WIDE VARIETY OF SPECIALTY APPLIANCES ON SALE NOW! 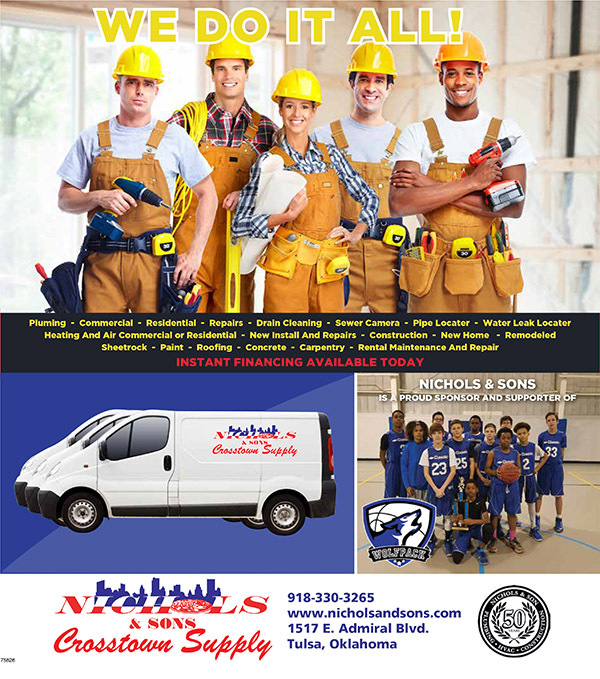 PLUS LEASE-TO-OWN FINANCING AVAILABLE - SHOP NOW, PAY MONTHLY! NO CREDIT REQUIRED! 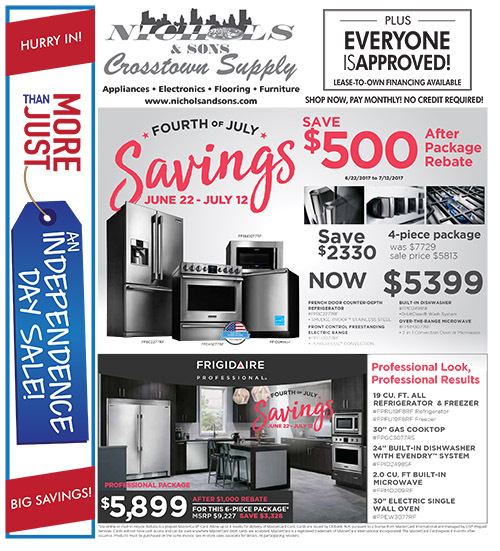 Hurry in to Nichols and Sons to save big on select Frigidaire and Electrolux products! Take a look at our great prices during our Holiday Savings event!